CellDetector can detect cells (or other objects) in microscopy images such as histopathology, fluorescence, phase contrast, bright field, etc. 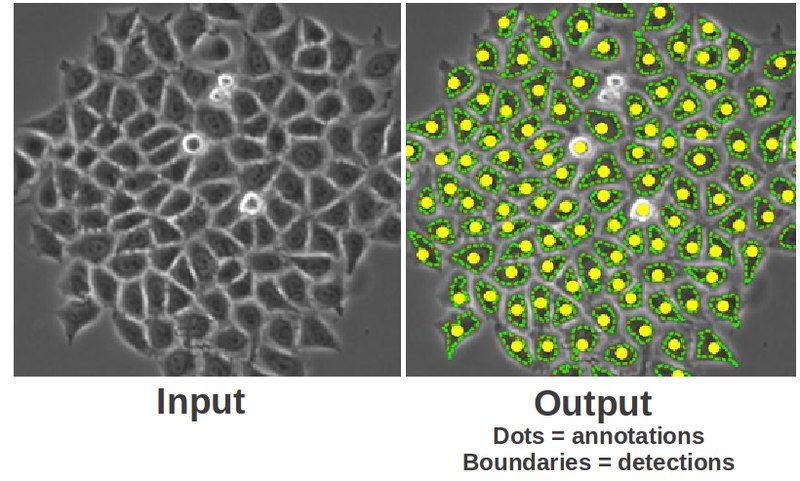 It uses a machine learning-based method where a cell model is learned from simple dot annotations on a few images for training and predict on test sets. The installation requires some efforts but the instruction is well explained. Training parameters should be tuned for different datasets, but the default settings could be a good starting point.